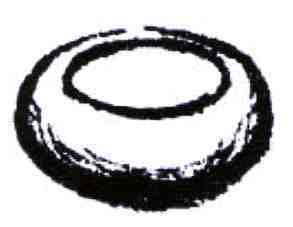 Place 9 small round or oval stones in a shallow bowl. Use a Yu if you have one. The shape of the Yu is the most helpful. Fill three-quarters full with water, and place outside briefly to receive the daylight (the supportive power of the light of universal wisdom). Then, place it under your bed or on the nightstand. Visualize the elements of the earth. Reinforce with your intention to come to balance. Change the water every morning and take outside briefly every day for 9 or 27 days. After 9 or 27 days return the stones to the earth. Do not use them for any other purpose. Place the bowl on your nightstand or desk with or without water. You can add or change the water as you wish. Reinforce with your intention to come to balance – caring, trustworthy, sunny, thoughtful, etc.